Fund Sales Associate, Daniel, likes to dabble in the Sri Lankan stock market and send gifts to family and friends back home. 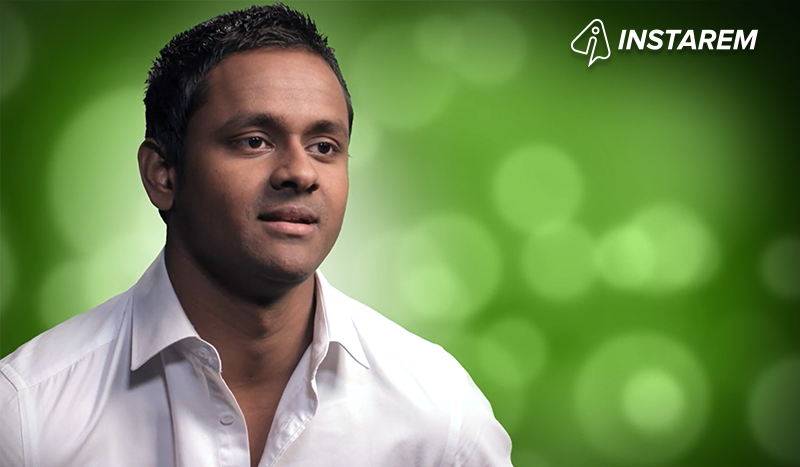 Having arrived in Australia from Colombo at the age of 16, InstaReM helps him keep close ties with his country of birth. I’m Daniel, I’m from Colombo, I moved here when I was 16 years old so and have been here pretty much ever since. I studied in Economics at the University of Western Sydney. I’m currently doing my Masters in Business and I work in funds management as a 9 to 5. How often do you visit Sri Lanka? Sri Lanka has been on and off. I actually lived there for a couple of years following my move here. I’ve been back a fair few times and hoping to make a trip back at the end of the year as well. Who do you have back home in Sri Lanka? A lot of my family is back in Sri Lanka, very close uncles, my dad’s brother is probably the closest family I have there but there are also a lot of cousins. There are a fair few dispersed around the world but quite a few still back home. Do you have any family in Australia? Yes I currently live in Australia with my immediate family. I live with my mum, dad and my brother. Do you send money back to Sri Lanka? I send money back home on and off and generally for different things like charitable causes that I feel strongly about or a friend or relatives weddings, and mostly just as gifts. On average it would be five or six times a year. Recently one of my best friends who I grew up with got married. Unfortunately I couldn’t be there so I thought it would be good to send him a gift. It was great that I was able to do that. Do you have any financial ties in Sri Lanka? Yes, I like the odd dabbling in the share market back home, and I have some bank accounts as well. I still have quite strong ties there. I found out about InstaRem through a previous work colleague of mine. I’m glad he’s told me about it and I’ve been using the website ever since, it’s quite easy to use and it’s been great. I like using InstaReM because it’s an easy platform to work with. The setup was very, very easy, particularly getting the whole process organised. When you start using it as well, when you have to transfer money, it is quite easy to use. Would you recommend InstaReM to the Sri Lankan community? Would l recommend it to other people in the community, absolutely! It’s very easy to use and I think it’s something everyone can benefit from.